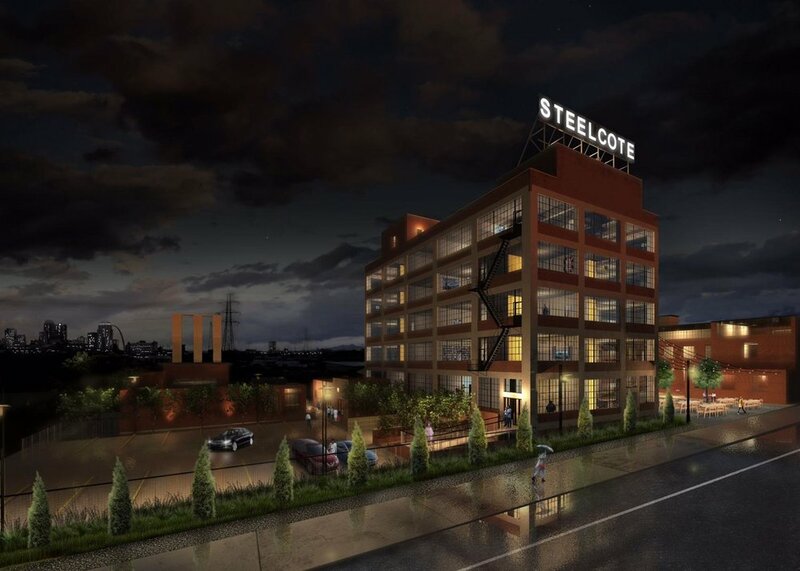 Traveling on Chouteau or South Grand, you can’t help but notice the massive amount of work underway on the former Steelcote Building in the largely uninhabited, post-industrial section of the Midtown Neighborhood. 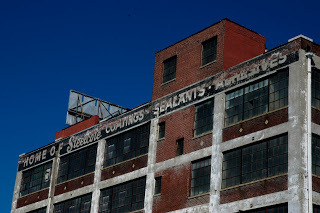 I returned to this area in 2017 for a thorough document of this former industrial, railway-heavy part of town; by then trespassers had bombed this building with amateur tagging. 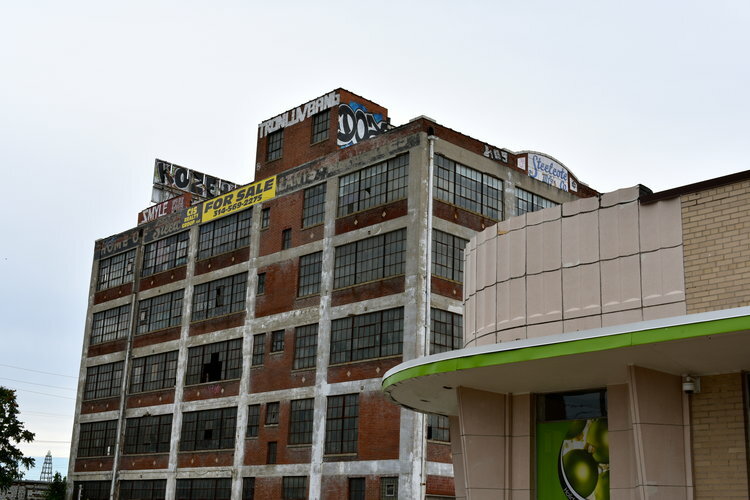 I’m glad to see companies focused on historical renovations,like PPG, active in St. Louis. 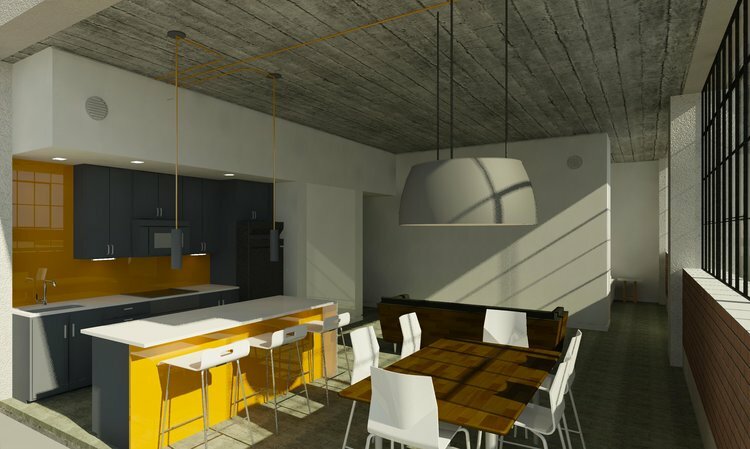 They are the ones behind the Woodward Lofts in Forest Park Southeast, another favorite project of ours. So when I saw the signs of construction, I knew I had to get some photos to document this most important time for this building. The next set of photos will be when it is complete and occupied once again. 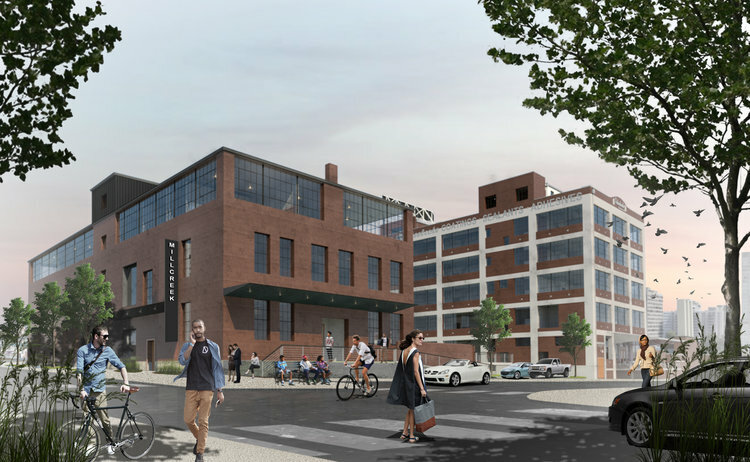 These renderings are optimistic with folks crossing the street at Edwin and Papin. Actually, Edwin Street is closed at Papin, fenced off for a loading dock and parking lot. 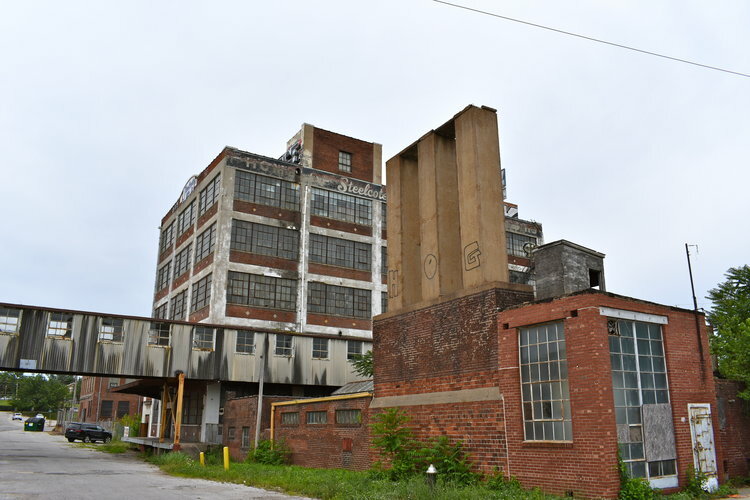 Maybe there is hope for Edwin Street to become activated once again to Chouteau with these two buildings becoming a reality. At some point, Edwin Street was renamed Steelcote Square. 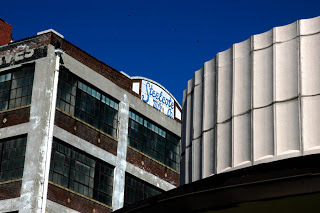 Cheers to historic renovation and people living in areas on and off the beaten path. 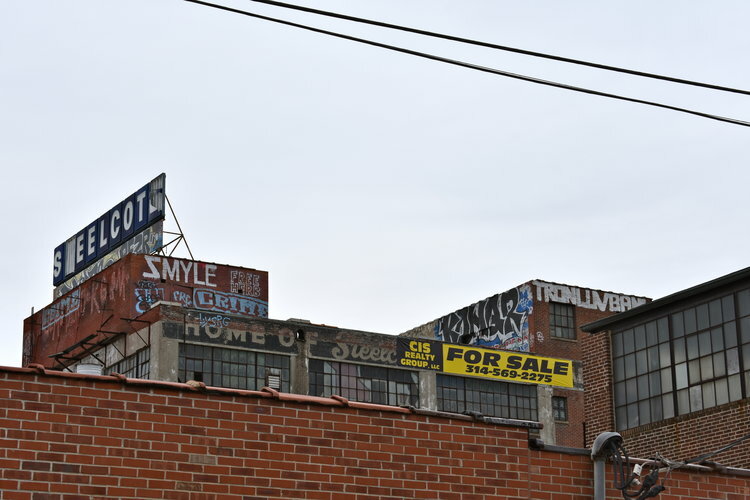 May Midtown continue to become a place with mixed uses and better connections to the other parts of the city.